I've set up the HDMI cables every which way, and tested them, and the cables itself is pretty dummy proof. However, I'm still getting "No Signal" both on my TV and my software. The No SIgnal in the software is green in colour. It sounds like you plugged in the Device to your PC before you installed the software. Try this first, turn off your Anti Virus, Firewalls, Registry Cleaners, etc. Now insert your Roxio Disc.When you reach the screen where repair is offered, choose that! Now plug in your RGC device. So what did you install if the computer says your DVD is blank? Where did you buy the program? I downloaded something online that seemed to work. I purchased through the Roxio website. Can you provide us with more details "seemed to work" doesn't cut it". What are you connecting to the capture card? details please. You also need the hardware, ie the capture device that is supplied when you purchase the program. Without that capture device, the downloaded software is useless. It would help if you were to answer the questions and give a lot more details on your setup/connections. Exactly what is an "older sony laptop"? I'm not a tech person whatsoever, what I provided is what I know. I have the capture device, I purchased it from the Roxio website and it arrived yesterday. As far as the laptop goes I tried it on two different laptops now, one a new one from my friend and it didn't work either. I'm sorry I don't know more about it, it was given to me and is honestly junk. Neither computer recognises the capture device, and comes up with a message that says so. The No Signal in the program is red when it occasionally doesn't pop up with the "Not Recognised" warning, and when it has popped up the No Signal is green. Please let me know what other information I can provide. The green 'No Signal" means the RGC Device is not recognized by your PC. 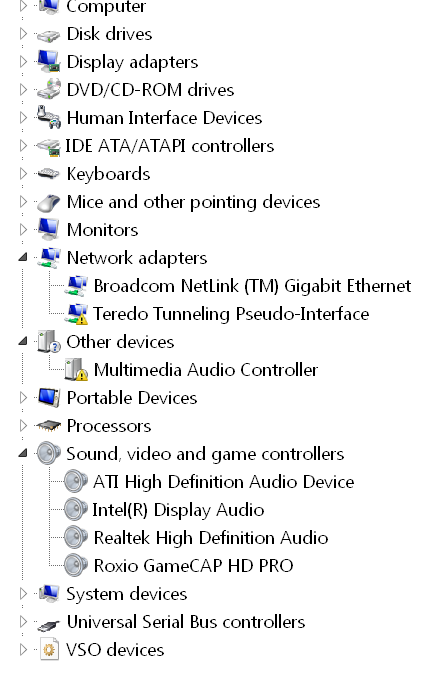 Open your Device Manager (Win-Pause - Device Manager- Sound and Video Controller), Plug & Unplug the capture device and see what entries show up. Red indicates that the device is being recognized properly, but it is not receiving a valid signal. 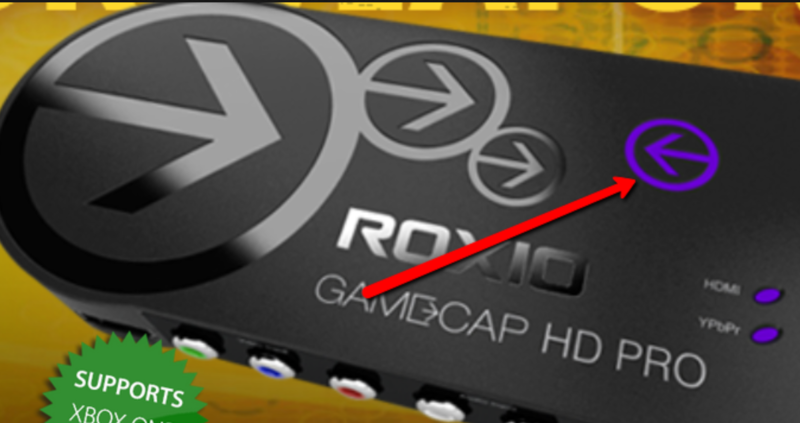 When you checked the Device Manager, did you get the Roxio Game CAP HD PRO symbol in the Sound, Video and Game controllers?. Sorry you couldn't get it to work.